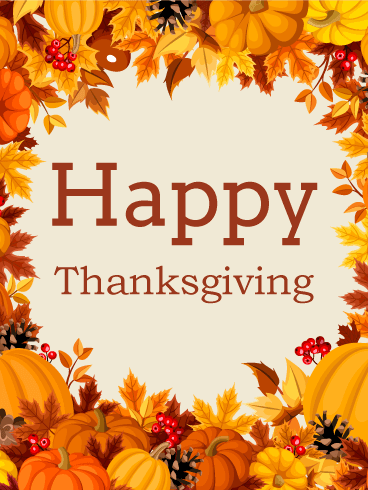 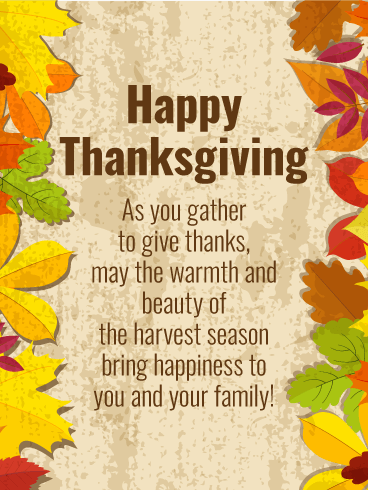 Happy Thanksgiving - Wishing you a happy and heartfelt Thanksgiving filled with good food and great memories. 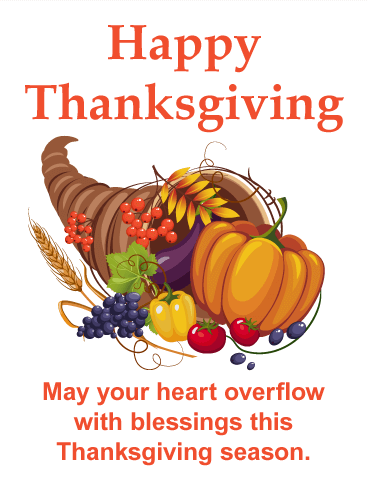 Loved ones our life's greatest blessing! 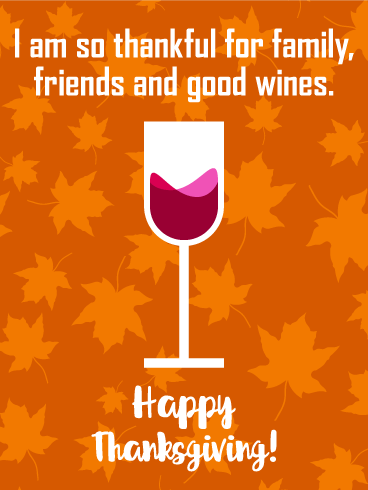 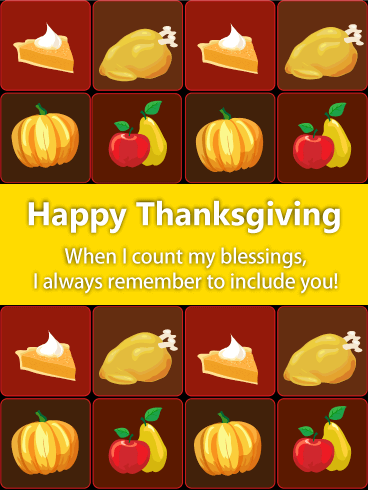 Make sure to let your dear friends and family know thankful you are for them this holiday season. 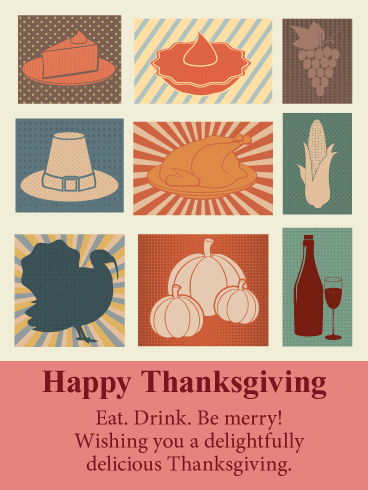 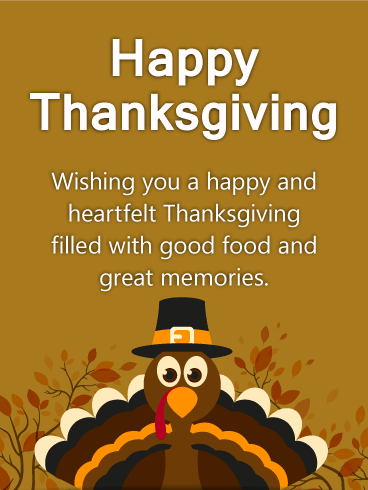 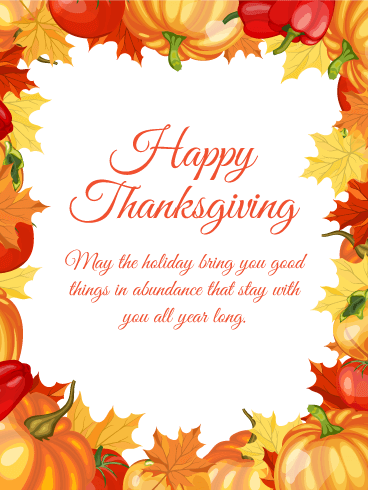 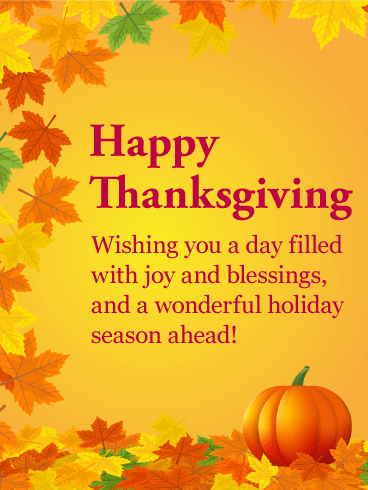 Send a Thanksgiving greeting card full of yummy goodness and warm wishes. 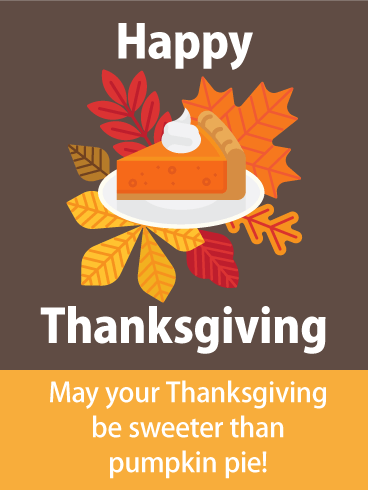 Share a special Thanksgiving card and brighten up someone's holiday with the thoughtfulness. 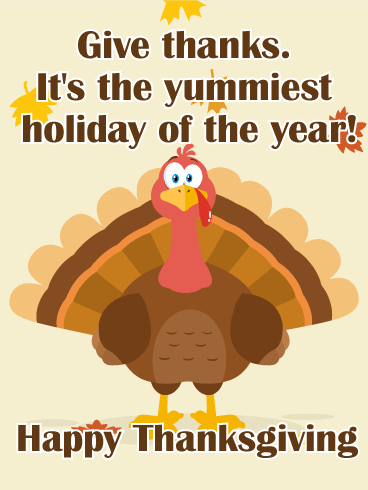 You simply can't go wrong with this delightful turkey day message.